FINISH: A fairly straightforward solid grey finish with a flourish. 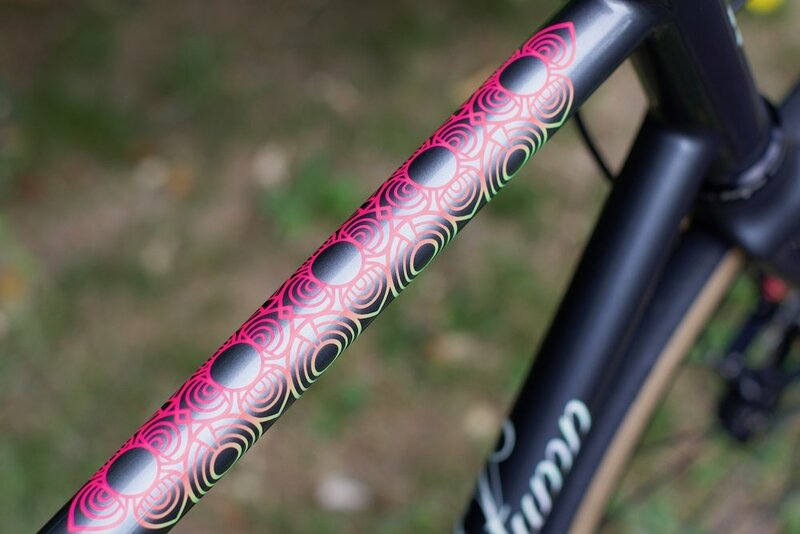 Geometric mandala pattern wrap around the top tube and fork blades acting as a window to a two colour neon fade. The logo totem and headbadge feature the same neon colours in the form of splatter paint.